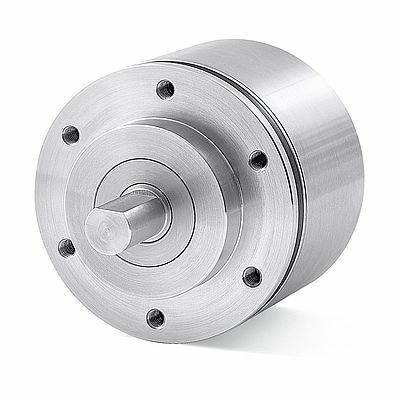 Lika Electronic offers a comprehensive range of stainless steel encoders for food & beverage, chemical, pharmaceutical and medical industries. They are designed to comply with the stringent requirements of these sectors and to withstand critical operating environments. Frame, flange and shaft are made of AISI 303 stainless steel with hygienic design and smooth paint-free finish. They ensure antibacterial properties and exceptional resistance to corrosion, and avoid trapped contaminants. Rugged long-lasting bearings protected in a stainless steel housing provide enhanced encapsulation. This results in a high IP protection (up to IP67) and excellent durability under extreme conditions and temperatures (up to -40°C +100°C). Connectors and cables are expressly intended to deal with chemical exposure and frequent aggressive cleaning. Lika also manufactures a complete series of ATEX encoders. The range includes: I58SK optical incremental encoder; MI36K / MC36K compact magnetic encoders; AM58K high performance encoder with CANopen/Profibus interface; XC77/XAC77 series of incremental and absolute ATEX encoders certified for use in zones 1, 2, 21, 22.